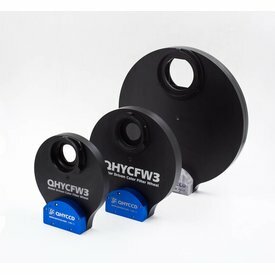 New ultra-thin hybrid stepper motor drive. 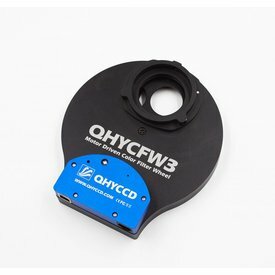 QHYCCD selected a high quality ultra-thin hybrid stepper motor for the 3rd generation filter wheel design. Compared to the PM stepper motor used in many filter wheels, the hybrid stepper motor has higher precision, smaller step angle, and is more expensive. The motor is enclosed to prevent dust from entering the motor, thus improving reliability and motor life. 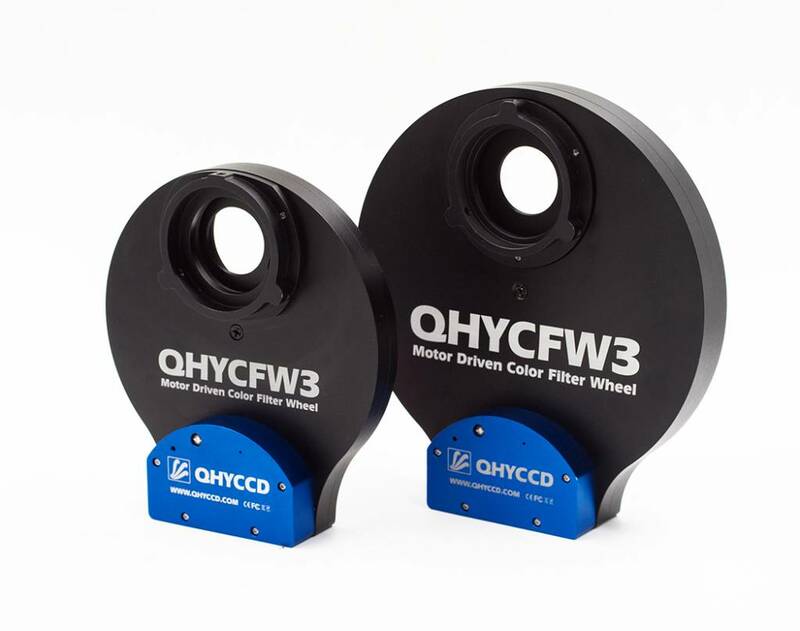 The direction of filter rotation can be reversed: The filter carousel can be rotated clockwise or counterclockwise to complete the rotation quickly which is very convenient. The overall design is thinner. 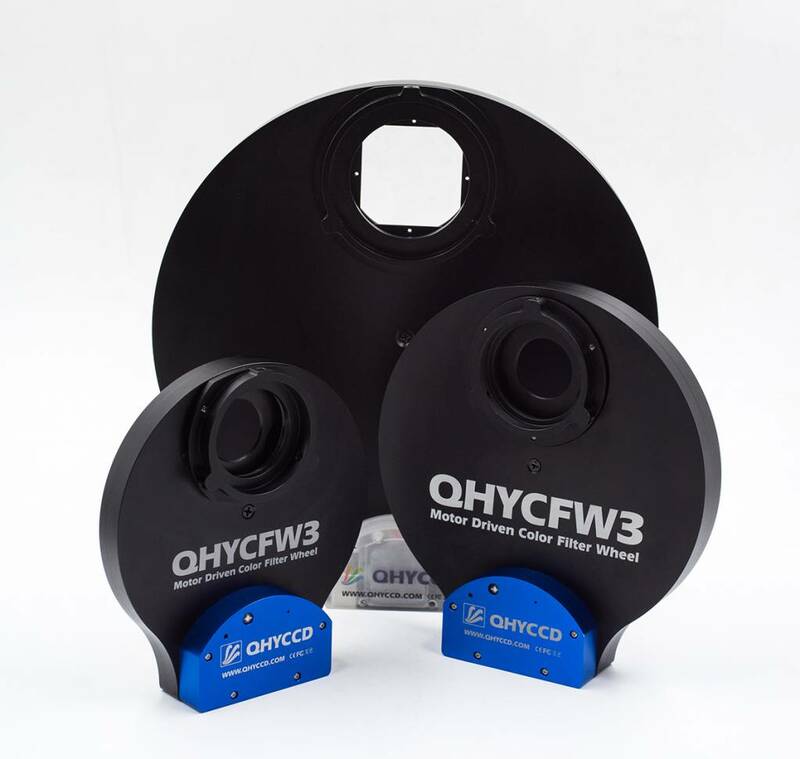 Regarding the evolution of the motor drive, our 2nd generation filter wheels used a gear drive while this 3rd generation filter wheel uses a friction drive that results in zero backlash during operation. The serial port switch can accommodate fast switching between serial communication mode and USB communication mode. 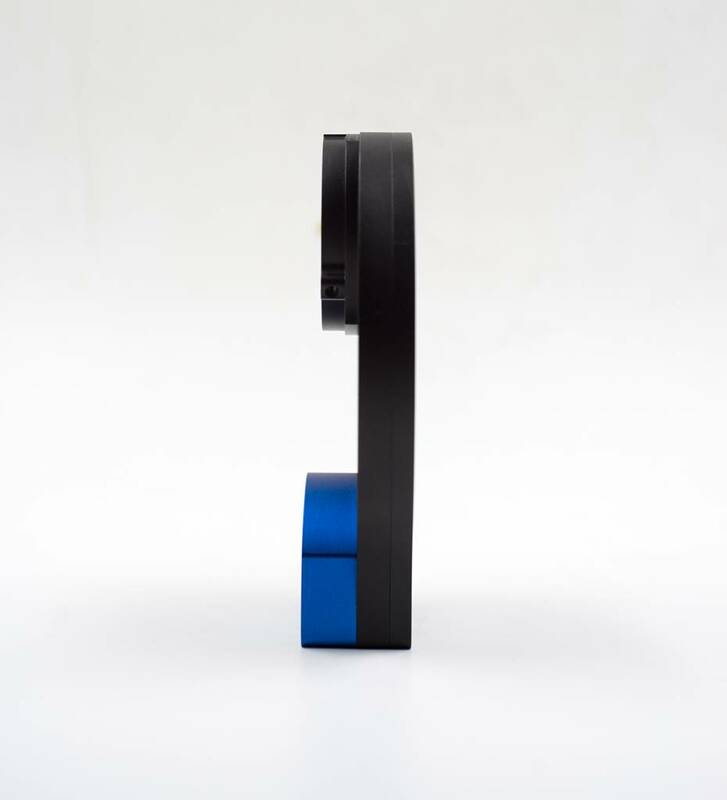 Use the USB port to power the filter wheel. 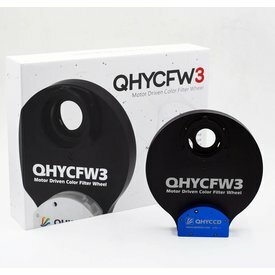 The filter wheel supports the QHY 4-pin connection control mode. The firmware is open source and compatible with Arduino. 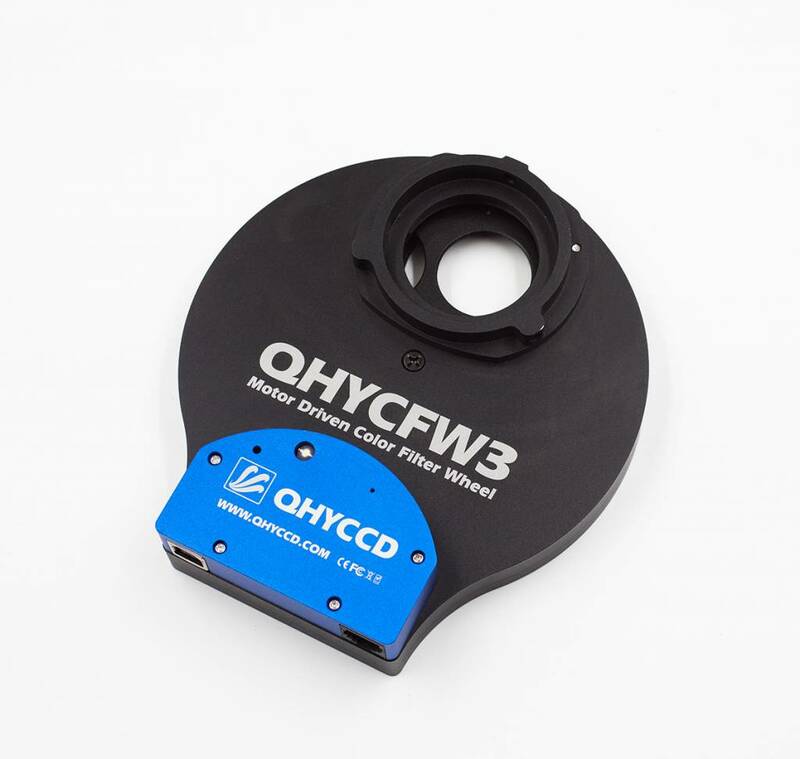 The design is compatible with the QHY-OAG (off-axis guide) for the corresponding size. 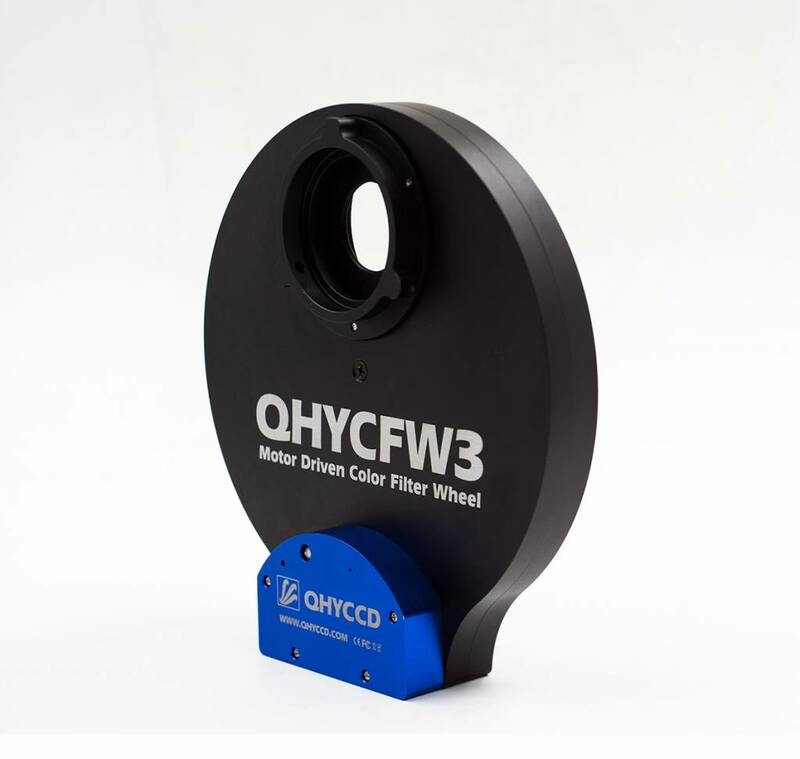 The QHYCFW3 main body is cut from a single piece of aluminum by a precision CNC machine. The craftsmanship and finish are exquisite. When you hold the small design, you do not want to put it down! 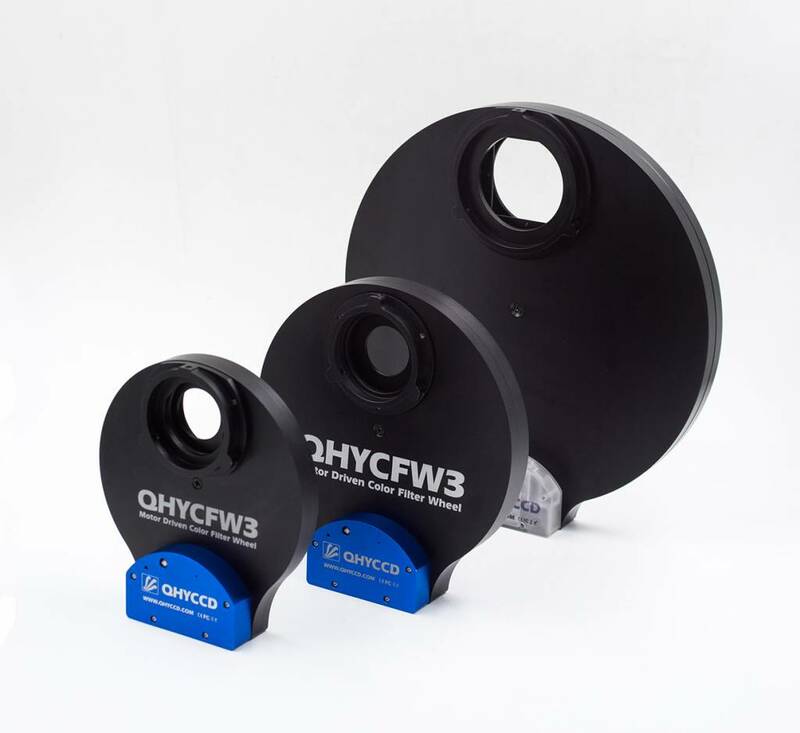 A specially designed filter carousel allows the installation of unmounted filters of different thicknesses. 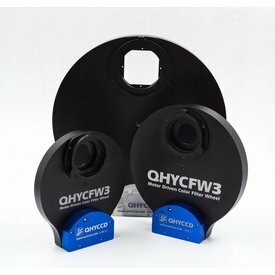 Mounted Filters below 10 mm thick can be installed and unmounted filters of different thicknesses can also be mounted on the same filter disc. Filter positioning is more precise and faster. 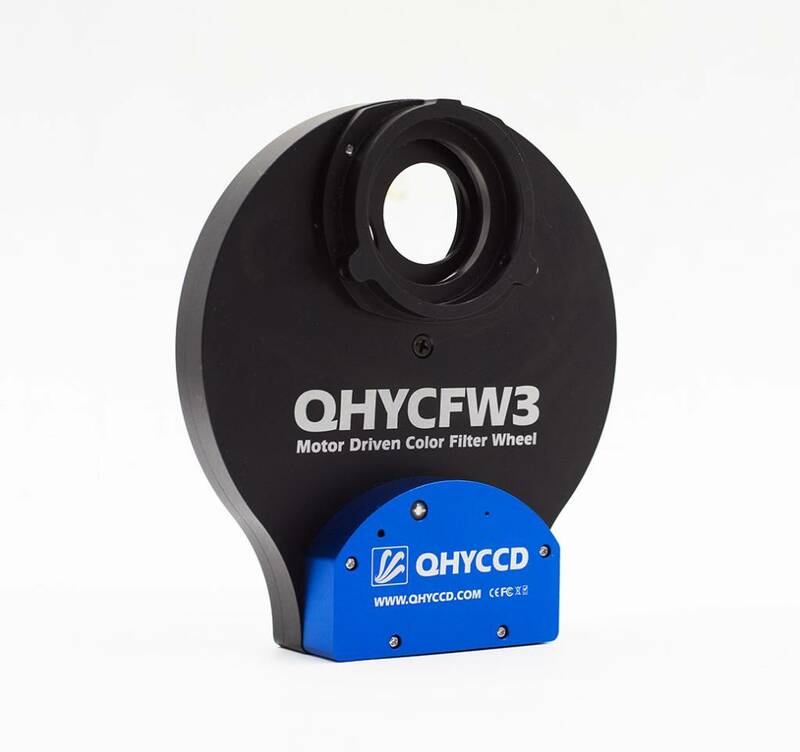 *Note: For mounted filter, the thickness excludes the filter thread height.